This stylish Mario™ Travel Pouch is perfect for the adult urbanite in need of a compact Nintendo Switch™ storage solution. 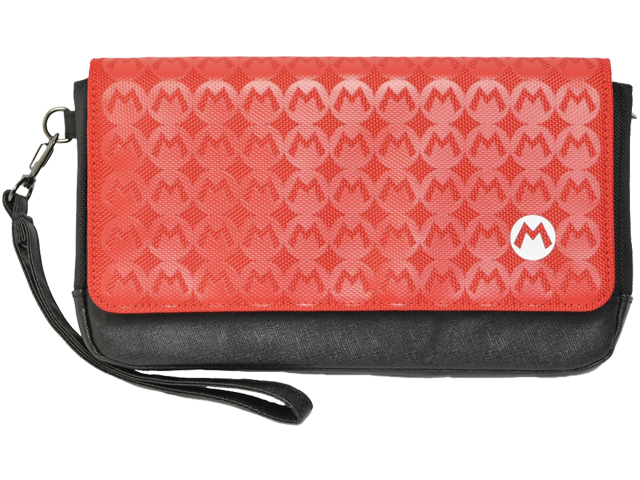 Featuring a removable hand clutch strap, stainless steel hardware, a slim silhouette and a black and red Mario-themed color scheme with original Mario artwork. Store your Switch console, Joy-Con™, charger, up to five game card cases, cell phone and more with this compact lifestyle accessory. Nintendo Switch and games not included.